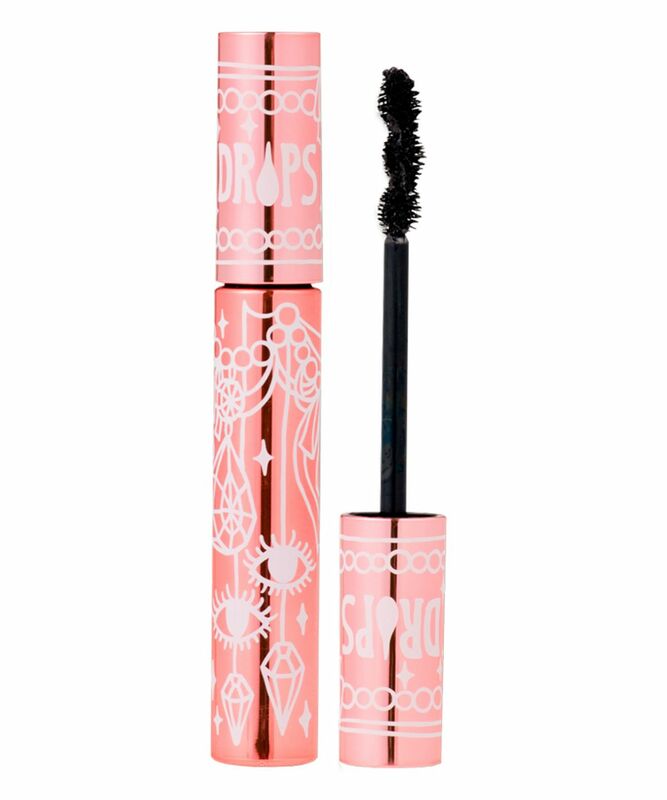 How much do we *heart* Fairydrops’ Scandal Queen Waterproof Mascara? Let us list the ways… Its wibbly-looking wand is ‘ooooh’ inducing, and guarantees that not a single lash escapes its curling, coating and conditioning clutches. The unique shape lifts and separates whilst fattening and lengthening each eyelash thanks to little (non-irritating) fibres. The smudge-, budge- and water-resistant formula is enriched with five different treatment essences – squalene, jojoba seed oil, panthenol, hydrolysed collagen and moisturising hyaluronic acid – to counteract brittleness and leave lashes looking lustrous. Aaaaaand innovative film-forming polymers have a long-lasting ‘perming’ effect, to ‘open up’ eyes and create an enviable set of full on, fluttering fringes (without the faff of falsies). Oh, and the rose gold tube is utterly covetable. Need we say more? Remove with a gentle eye make up remover - we recommend Bio-Essence's Miracle Bio-Water Jelly Make Up Remover massaged over eyelids to dissolve make up without tugging or stretching your delicate skin. Hands down the best mascara I have ever tried. It lengthens and adds volume to lashes, whilst holding a curl all day. I have rather straight lashes and this, combined with Shu Uemura eyelash curlers, is a match made in heaven. No need for false lashes with this product - it's that good. 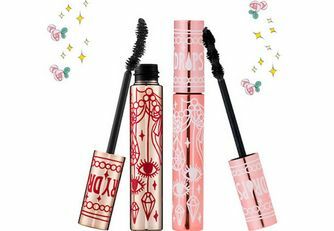 Only downside is, unlike most mascara formulas, it doesn't dry out towards the end of its lifespan, but rather goes quite thick and clumpy. I'm really not a fan of this mascara. I finally tried it after hearing so much about it online, it clumps lashes together and leaves balls of the product in my lashes so I have to go over with a clean mascara wand. Throughout the day it smudges repeatedly. The one positive is that it lifts the lashes but I'll be binning it. Not worth the hype. I'd heard a lot of people rave about this so I decided to give it a try after literally years of trying to find it. I have long, but super straight eyelashes that don't really hold a curl, which is why I always use waterproof mascara (my HG being the Maybelline Lash Sensational). I was so disappointed in this - it made my lashes super clumpy and thick, kind of like spider legs (I'm not a fan of that look). It also didn't keep a curl, my eyelashes drooped down immediately. I gave this to a friend instead who totally loves it. I would say if you have super straight eyelashes, this isn't for you. One of my favourite products! Purchased on a whim and I love it! It's the perfect mascara to complete a look (and is very effectively waterproof). I've had it for two years and it's still going strong. At first there is too much product on the wand so beware. The look this mascara gives is natural and fluttery. I bought it because my eyes water alot so products run down my eyes by lunch, this product doesn't do that. I would recommend using the clinique take the day off cleaners to remove it because nothing else works for me. Love this mascara. Used it for several months but once it starts to dry up its a pain to work with the brush and gets very clumpy. Doesn't budge on me at all but take a bit of work getting it off so invest in a good waterproof make up remover. 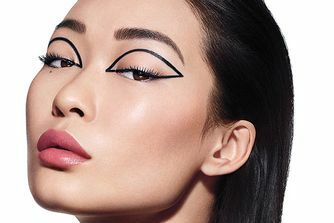 Great volumised look, however smudges under my eyes a bit. Hard to take off. Love this mascara and will be buying again. It's in a cute bottle and the product is very easy to apply and layer up making my lashes a lot longer through the fibres - enough so I had many compliments on it! It's better than some other fibre mascara's I've got and this would be my recommended one. This stuff is very waterproof and doesn't come off with all makeup removers so make sure you have a good one to hand. I sometimes have sensitive skin around my eyes and this doesn't irritate me at all. There is no denying that this mascara does definitely lengthen my lashes ... but the " non irritating" fibres irritated my eyes so much I ended up with really red, watery runny eyes. Definitely not for people that have sensitive eyes. I waited for this mascara for MONTHS to come back in stock after hearing rave reviews. I snapped it up the second the email landed however I'm not all that bowled over... The pros - for me, it does hold a curl, especially with a good squeeze of my eyelash curlers prior and it does a good job at lengthening. The cons - it doesn't volumise, like another reviewer said. It separates each eyelash and so doesn't create a fluttering effect. And the fibres present in this mascara do cling onto my lashes which is as bit odd. All in all, a good mascara but I don't think i'll be in such a rush to purchase again. This is my favourite mascara of all time! I have been using it for 3 or 4 years. I have also tried out other brands but I keep going back to Fairydrops. This mascara lasts all day and doesnt flake, I even worn them to go boat trips and swimming and its super waterproof! Doesnt smudge, no panda eyes. ITS AMAZING! I also own their Scandal Queen Quattro Mascara, which is another love for me. The non-waterproof version is even more impressive!! The platinum mascara somehow manages to lengthen, add volume, holds curl ALL DAY, but still looks natural. No panda eyes or flaky eyelashes from this ever and it's easy to remove without pulling out my lashes like other waterproof mascaras do. I found it very clumpy and thick. I've found cheap mascaras that perform way better. I can't help but feel this mascara has been over-hyped. It goes on lightly for a very natural look and stays put. But the wand does nothing for my eyelashes and the formula isn't the blackest of blacks. Best waterproof mascara I've found! It makes my lashes look great and doesn't budge. Now won't use anything else as it is just perfect. I use waterproof formulas exclusively, because they're the only ones that can keep my downturned lashes curling upwards. This mascara does the job, though I have others that do it better. What makes it special for me is how natural my lashes look and how there's no strong smell or irritation to my sensitive eyes. It's like I don't have mascara on when I use this product, other than I suddenly have lashes. I'd say it's a good alternative in effect to Clinique's mascaras, who only have one waterproof mascara in their roster (and it isn't any good). I've purchased Fairy Drops Scandal Queen repeatedly, and will keep doing so. Also, the packaging is superb :) 4/5 stars because my lashes do sag down at the end of the day, so I can't say the formula is long-lasting. I took a gamble in purchasing this product, as the only mascara I have ever liked in my life - and have repurchased over and over - has been Diorshow Iconic. However I was looking for a good waterproof formula to use in parallel to the Dior one, and wanted to give this a try. I really like the formula of this product. It applies smoothly and doesn't smudge at all. However, towards the end of the day it can appear a powdery on the lashes (possibly because of the fibres in it). The odd shape of the wand for me took a bit of a learning curve, but now I'm fine with it. I was struggling to find a well behaved mascara for such a long time, but this one is worth the hype. I am a user of only waterproof mascara, due to the specification of my hooded eyes. I can say I didn't get my panda eyes even in the hottest day and that's true waterproof mascara. I really wanted to love this mascara but as it dries up a bit from not being brand new the fibres aren't sticking to my lashes as well and are most annoying. This arrived in the post today and I was so excited that I immediately took my sub-par mascara off so I could try this one straight away. The look once on my eyelashes is so disappointing! The product has not held the curl from the eyelash curlers, it is a really thin consistency but it has somehow made my eyelashes clump together. Also the "little (non-irritating) fibres" are falling out and were getting stuck on the end of my lashes. All in all this does not seem like a great purchase! This mascara is fantastic! It goes on beautifully, I have very pale almost blonde lashes and this makes them look naturally black as opposed to artificial. The special shape wand means I don't poke out my eye. And most importantly it stays put all day, not a panda eye in sight, no other mascara I have tried can achieve this. Also the lashes stay soft, they don't feel frozen and caked even with several layers. Will repurchase again and again.